Here are exciting news and announcements this magical month! Tyler boutiques are located in R1 of Power Plant Mall in Rockwell Center, Level 2 of EDSA Shangri-La Mall, 3rd floor of The Podium, 2nd floor of Glorietta 4, and Adora in Greenbelt 5. For more information, email inquiry@tyler.com.ph. 3. 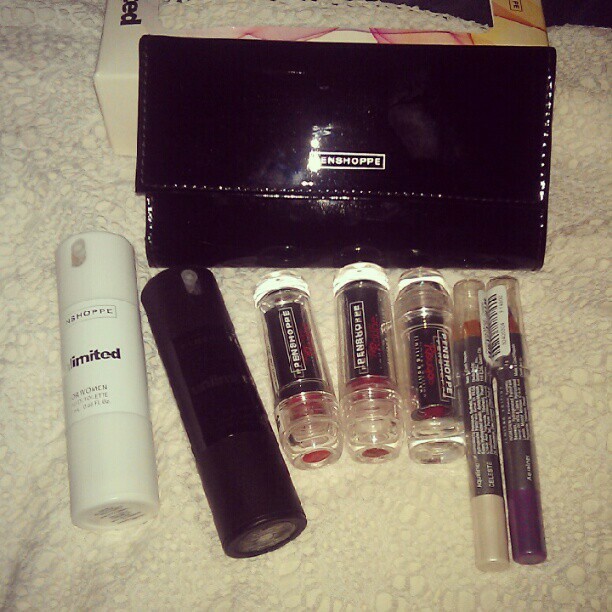 Penshoppe's New Personal Care Collection! Other than being the leading trend in local fashion, PENSHOPPE is also popular for its expansive and affordable fragrance collection that suits the different moods of both men and women. UNLIMITED is an exciting addition this year to the PENSHOPPE fragrance line, with a refreshing yet musky scent for Men and a sweet floral accent for Women. For only P249, be prepared to smell cool and fresh and be inspired with the infinite possibilities UNLIMITED has to offer. 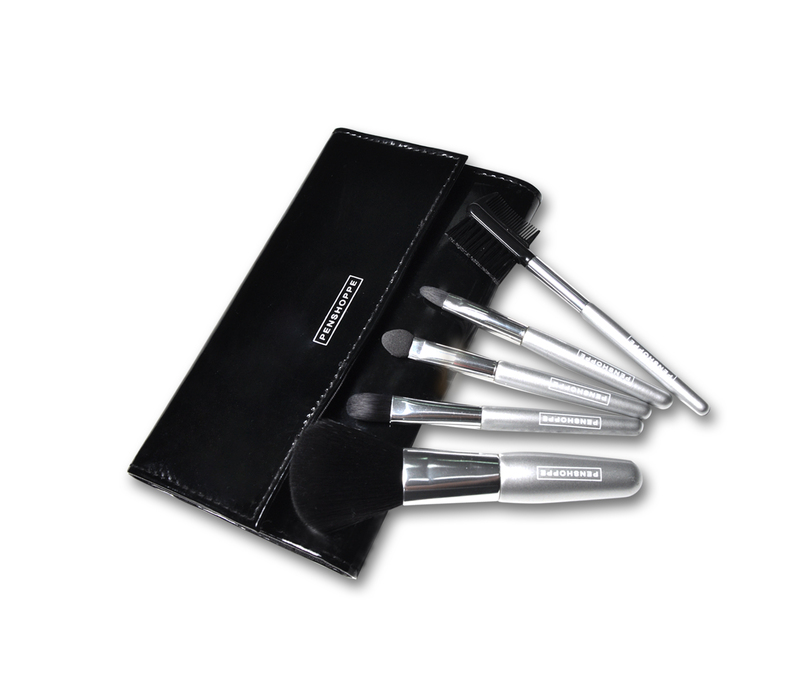 Capping off the collection is a limited edition 5-piece Makeup Brush Set that contains five soft synthetic hair brushes, which includes a powder brush, eye shadow brush, a sponge-tip brush (for blending colors), a lip brush and a grooming brush for the brows and lashes. The Makeup Brush Set is available for only P399 (as a special promo, if you buy any product from the Color Hydradiance collection, you can get the brush set for a discounted price of P249). 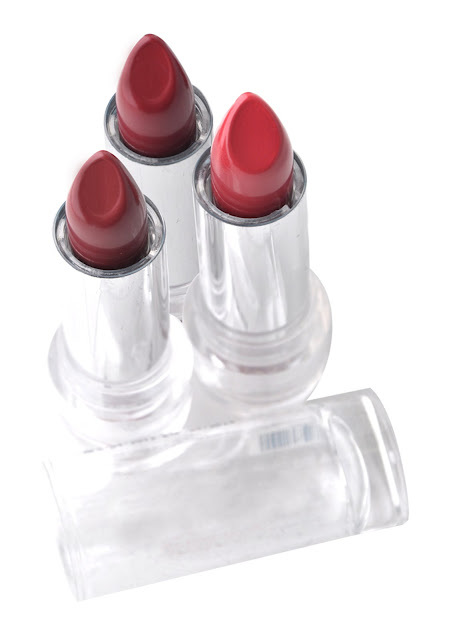 All these plus the entire personal care set are available in all PENSHOPPE stores as well as online via www.shop.penshoppe.com. Payments for online can be made via credit card (VISA, Mastercard, AMEX or JCB) or through over-the-counter transactions in BDO branches nationwide (free shipping anywhere in the Philippines with a minimum purchase of only PHP500.00). More information can be found on www.penshoppe.com or follow them on Twitter @PENSHOPPE or like them on Facebook at PENSHOPPE Official. As the sole proprietor of a growing homemade ice cream business, Xandra’s days are a blur of orders, customer inquiries, and meetings. She’s constantly working on mini-projects for Pinkerton and thinking up decadent new flavors to delight her customers. She also writes a food column for Business Insight, contributes to other food publications, and is a fixture at food events. Xandra treats her busy schedule as a blessing rather than a nuisance, and is grateful for every minute she spends doing what she loves. Of all the Shapewear styles, Xandra’s personal favorite is the Slip Shaper, a body-hugging slip dress designed to smooth down curves from the bust until the knee. Aside from its slimming effect, which has helped her look fabulous during her “blah” days, Xandra also relies on the Slip Shaper to provide extra coverage when she wears dresses and skirts that become sheer under strong lighting. Comfort is an important factor too - the material is so soft that she sometimes wears it as a night gown. Another favorite is the High Waist Brief, a powerful shaper that creates a smooth mid-section while flattering natural curves. Xandra recommends this style for its versatility, seamless construction, and ability to downplay the dreaded “puson”. Of course, good undergarments are just one ingredient in the recipe for renewed confidence. “’Look good, do good, feel good’ is one of my favorite sayings,” Xandra says. “I feel most confident with myself when I eat healthy, exercise regularly, and get a good amount of sleep.” For a woman determined to travel the world, one bite at a time, she’s certainly going to need all the confidence she can get. JanSport®, the original outdoor gear Brand that equips people globally with quality backpacks, travel gear and collegiate apparel, today announced its global collaboration with 21 boutique retailers to create a series of limited edition iconic JanSport Right Packs with one-of-a-kind patches. Now in its third year, the Right Pack Signature Series program features four veteran retailers from 2011 and welcomes 17 new boutique retailers from around the globe. 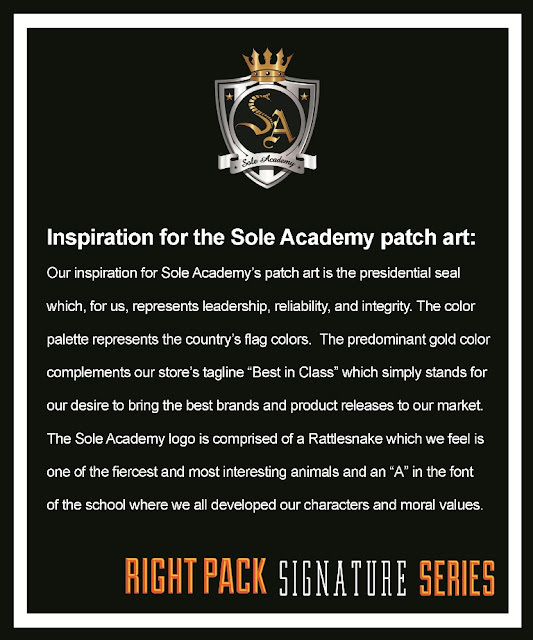 21 select boutique retailers in North America, South America, Asia and Europe have designed unique patches that embrace the culture specific to each retailer’s respective community. The limited edition patches have been applied to JanSport’s original Right Pack in Black and will be available for purchase at participating retail locations this July 2012. 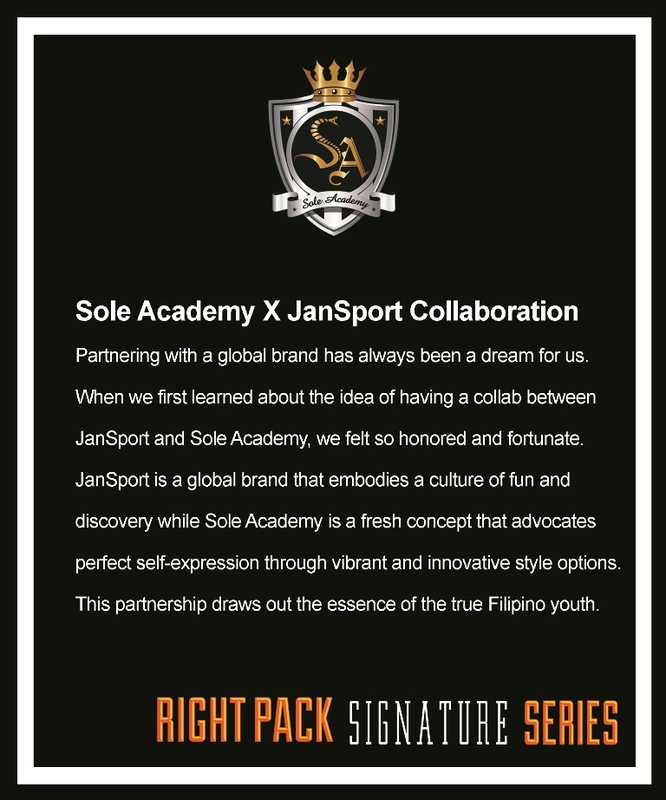 Stemming from the success of last year’s Right Pack Signature Series program, the global collaboration has expanded from nine boutique retailers in 2011 to 21 participating retailers this year. Returning retailers include: TRUE in San Francisco, CA, Maven in Burlington, VT, Off The Hook in Montreal, QC and Loop in Uptown Waterloo, ON. The complete list of new boutique retailers include: FTC in San Francisco, CA, Beat Nic in Fullerton, CA, Reed Space in New York, NY, VIER Antwerp in Belgium, Beamhill in Finland, Made in Store in Germany, Fat Buddha in Scotland, One Off in Sweden, Double Park in Hong Kong, Above the Clouds in Australia, 1st Product in Australia, Sole Academy in Philippines, Limited Edition in Singapore, Sneak Soul in Korea, Choko Multi in Korea, Human Tree in Korea and On Board in Columbia. Check out our very own contender, Sole Academy. 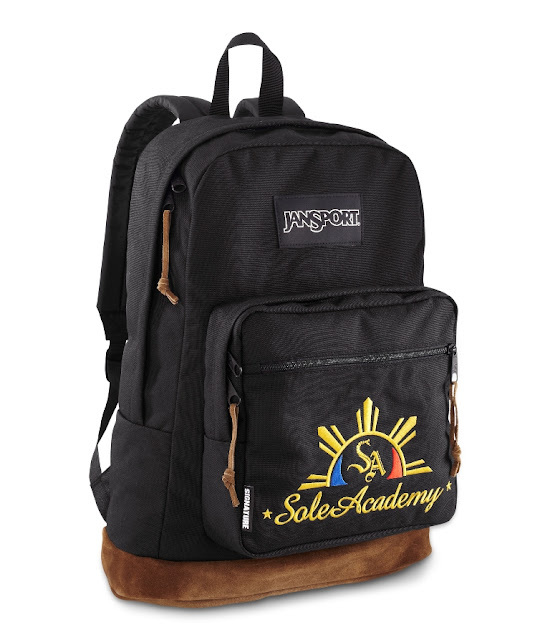 JanSport x Sole Academy Right Pack Signature Series will be exclusively available at Sole Academy beginning July 19th. For more information, visit www.jansport.com/rightpacksignature. Travel the world, collect them all. 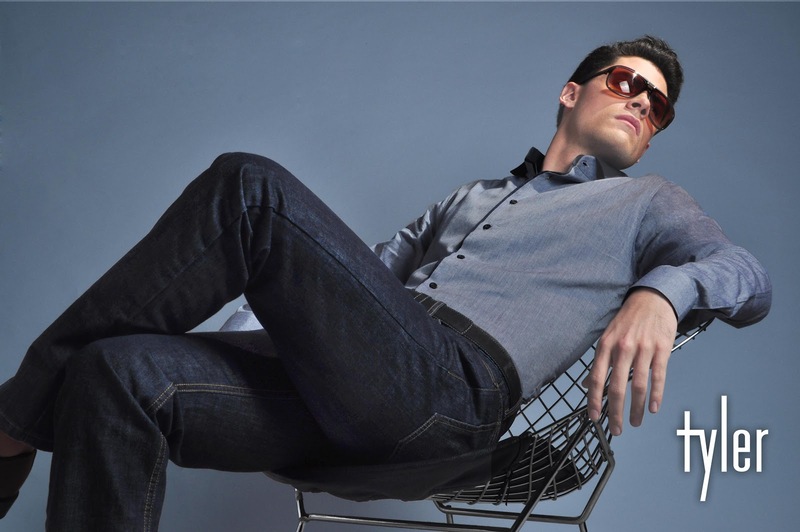 The Primer Group of Companies, Asia’s next retail giant, is the exclusive distributor of JanSport. This August 18, join the UP Junior Marketing Association Publicity Event in celebrating Filipino culture in Hiraya, an arts and music festival in the open field at the corner of 34th and 9th streets in Bonifacio Global City (beside Mercato Centrale). 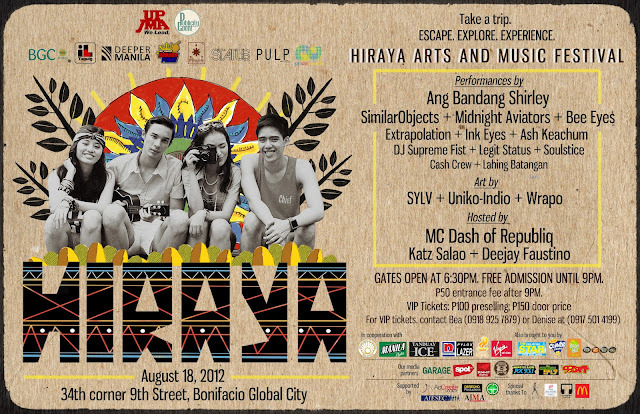 Lose yourself in a sea of beats from musical performances by Ang Bandang Shirley, SimilarObjects, Bee Eyes, Midnight Aviators, Ink Eyes, Ash Keachum, and many more. Watch street artists SYLV, Uniko-Indio, and Wrapo, create art before your eyes and groove to dance performances by Lahing Batingan, Soulstice, and Legit Status. MEG, the brand for today’s bold young women, will soon launch what is expected to become the most-watched reality TV competition in the country. For fourteen years, MEG has been the lifestyle guide of every young woman, constantly growing and maturing with its readers. Keeping with the times, MEG also launched an online lifestyle portal, IamMeg.ph, this year. In its latest innovation, MEG transforms its signature campaign, MEG Face Search, into something more dynamic and far-reaching. 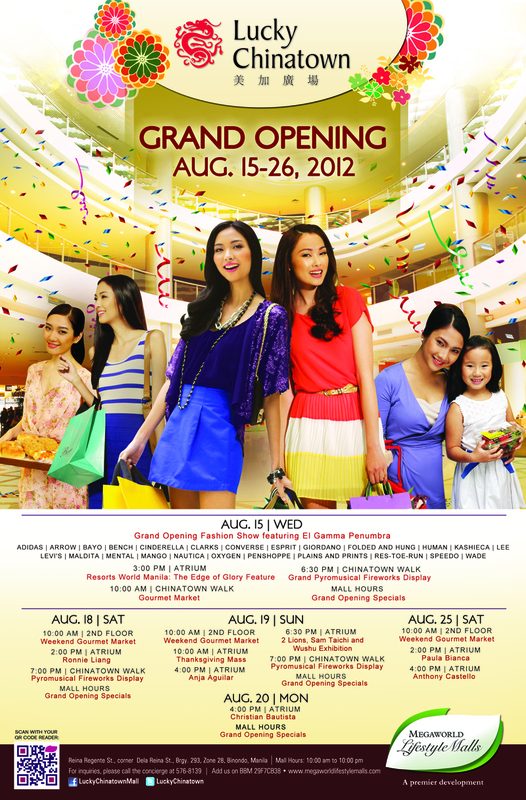 On August 18, 2012, Saturday, MEG will air its first reality TV competition. Hosted by TV personality and sports enthusiast Kim Jones, I AM MEG: OWN THE WORLD IN STYLE will be the country’s newest reality TV competition, in search of the young woman who epitomizes modern style and substance. Fourteen aspiring young women made the cut and will show their best in challenges testing their skills, style, and wit. Set eyes on and meet the fourteen young women aspiring to be the newest face in the industry and watch as they brave the challenges that will bring out their determination and talent to become the first MEG Style Ambassador. These finalists are in for a surprise when the first challenge of the season is the actual photoshoot for the show’s opening billboard! They will be given an identity workshop, a makeover, and will project their personality through the photoshoot. 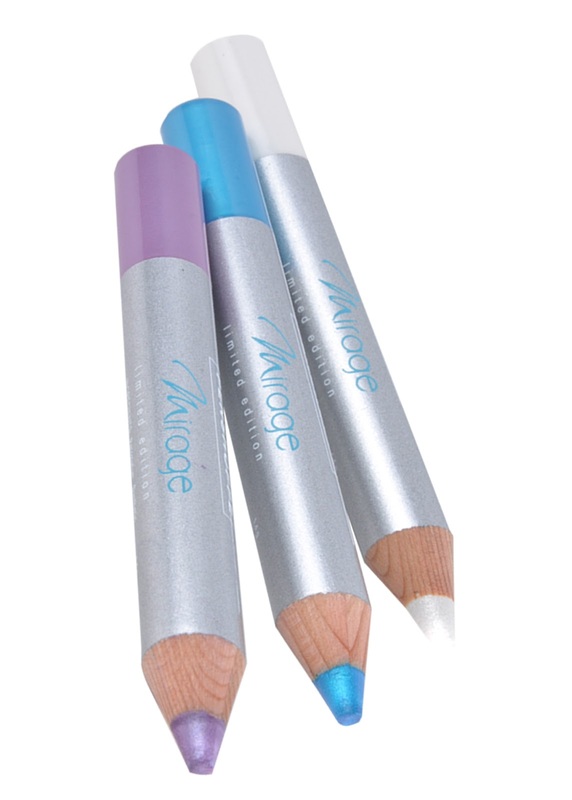 This becomes their chance to show their flair for style and to channel their confidence. Catch the first episode and find out how the opening billboard with the fourteen girls of I AM MEG was produced! I AM MEG: Own the World in Style aims to develop a young woman of substance and style in all aspects, developing her personality and skills. Throughout the show, all of the women will be given the chance to prove why she should be the first MEG Style Ambassador. 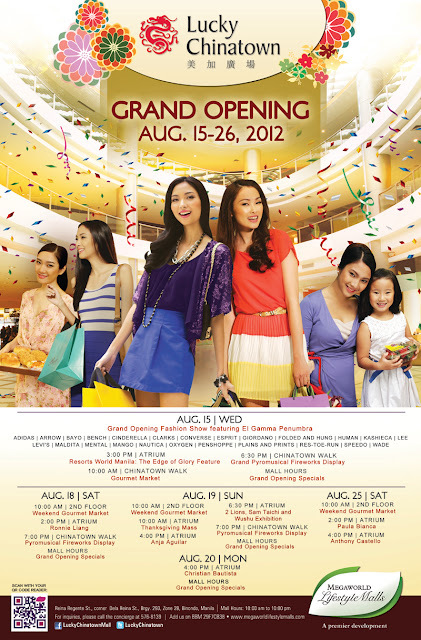 Hosted by TV personality Kim Jones, catch I AM MEG: Own the World in Style on ETC every Saturday starting August 18, 2012 at 7 in the evening, with replays every Tuesdays at 10am. I AM MEG: Own the World in Style is a prestige production of One MEGA Group. 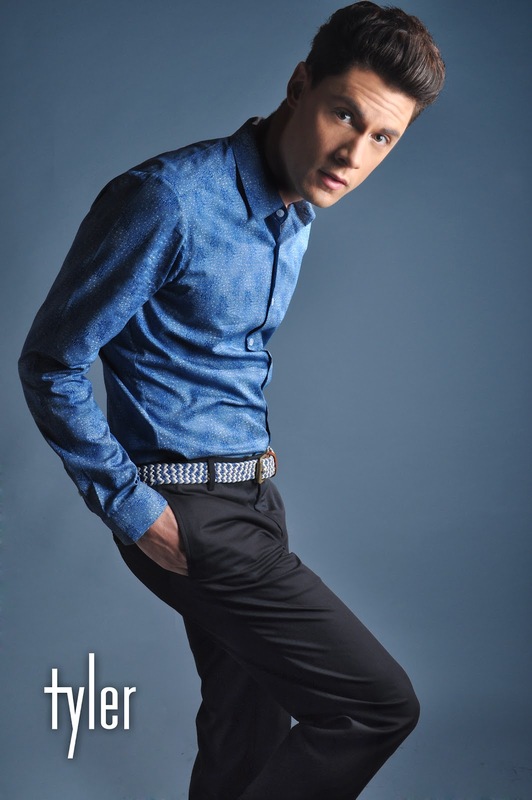 For more details on I AM MEG: Own the World in Style, please visit www.iammeg.ph. Like MEG on Facebook at <www.facebook.com/megmagazine> and follow MEG on twitter <@megmagazine>.